Time is upon us to ignore the lobbyist and especially the defense contractors that are coddled because of the money they can put under the table or under anywhere they can. The foreign aid packages that mandate large portions of package must be spent for American manufactured weapons is beginning to absolutely reek. The Mideast doesn't need more weapons and why are we borrowing money to give away so that these people can profit? Darn it and unspeakable curse words we have had enough of this B.S. I have a suggestion I hope to help the fixed the silliness in Washington DC. First thing I would do is put the power back in the American people hand I would enact a law that all members of Congress and the house of the Rep should get a base salary equal to a middle class family in America the remaining balance about a hundred thousand should only be paid for actually performance. the Congress and the house of Rep should have a agenda and a calendar similar to the supreme court and base and work done the congress and house of Rep get there full paid. and just to keep this honest the American people set the agenda and the criteria that must be met for full pay no exceptions. With a method like this that the people truly vote on we could eliminate all the special interest and lobbies in DC and there influence and hijacking of our Democracy and way of life. the home of the free and the brave. this is something that should put to every member and only now we can see their truly colors and what they in Congress and the house of Rep truly care about they only understand two thing money and the power that comes with their office. and we can only communicate with them in terms/ language they get nothing else matter to these peoples and that's the GOD honest truth. 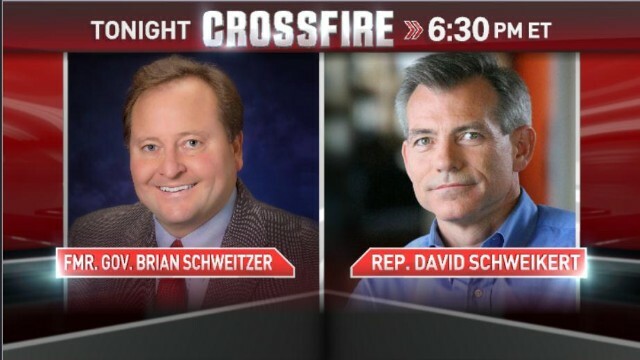 Who does Schweikert think he is fooling with his condescending attitude and stale talking points? The Republicans are definitely afraid of ObamaCare because it is a beginning of taking control of the rising cost of medical expenses. Lobbyists for the medical fields will be out of business and Congressmen will have to find other kickbacks. Republicans are most afraid that AMERICANS WILL LOVE IT! My insurance is going from $1200 per month to $600. YEAH! No preconditions YEAH! I am healthy, don't smoke or drink, weigh 115 lbs and am hostage because I have been insured for so long by the same company and now can't change. We have a child with a pre-existing condition.. WE NEED THIS. GIVE IT A CHANCE. IF it doesn't work – FIX it to be better. And give Obama a solution, that the Country, has seemingly adapted to without Catastrophe. Its also fairer – in that everybody feels the pain. Even Moderate Republicans believe the targeting of Obamacare is a loser. for whipping up this Anti Obamacare hysteria. Rather than just playing Obstructionists on every disagreement. Rather than the voices of reason in their own party.